I can’t believe that the first time I posted about working on my Island Batik Creative Borders project was October 11th! My gosh does time fly! Yesterday I finally quilted both king size pillow shams that were made with the Cherry Berry collection from Island Batik. 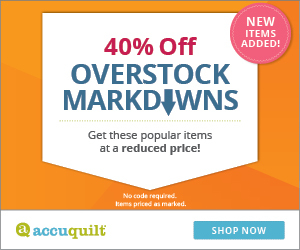 Do you know what happens when you get carried away with adding borders to a quilt project? Sometimes…..the size is wrong. I was too lazy to go upstairs and grab the king size pillow sham off of our bed so I ended up making a pillow that was a lot taller than it needed to be. Now I could have just made a couple jumbo king size pillow inserts to fit but I really don’t need anymore at this time so I just stitched a giant flange along the top and bottom. The batik pillow shams really do have some creative borders! I love how bright and vibrant this collection of batiks is. Sometimes things don’t look the way I imagined them to look. There is a lot going on in the pillow shams…..I really think they would have been neater with just one large border around them. These seem pretty busy on the Scattered quilt. I planned on using the Scattered batik quilt and pillows in our room but…….Builder Bob thought it was just a little bit too colorful. LOL, I have to agree with him. I have a granddaughter who I think will just love this. I went ahead and washed and dried the pillow shams before I decided how far in to stitch the flange. I always, always use a Breezy Color Absorber when I wash my batiks and use cold water. I had no bleeding from any of the fabrics. Many times purples or reds will have a tendency to bleed. Weekend Sale! 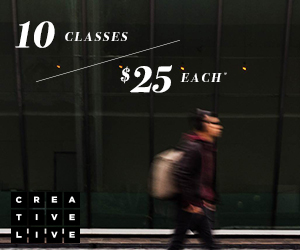 CreativeLive is offering 19 classes at just $19 each through Monday, October 30th at 11:45 PM PST! Very pretty quilt and pillows, and I love the quick flange fix. Pretty pretty shams and quilt! You have inspired me to finish the flange pillow I started last week! Thank you! I love how they turned out, very nice! For the first time I am not going to meet the project deadline, too many things to do for the shows and now I have a nasty sore throat. I think I will go to bed early and hope for a productive day tomorrow. What size bed is this shown on? The shams are king size, so I thought king size, but when I look at the quilt pattern, the largest size is 64″ x 72-1/2″. It does look like a pattern that would be easy enough to adjust to be larger by making more blocks, so am wondering if that is the case? Those are perfectly wonderful! I love them with the quilt. Lovely Quilt and Pillow Shams out of gorgeous Batik fabrics. Your granddaughter will be so very excited to receive this bright cheerful set. It’s a beautiful quilt set for a lucky granddaughter!